Want a great way to perform negatives? – Even with no spotter! The Watson Adjustable Eccentric Hooks (or Drop-Off Hooks) can be loaded with any amount of weight and hung on the ends of the bar. When you hit your bottom position in your squat, bench press, shoulder press, etc. 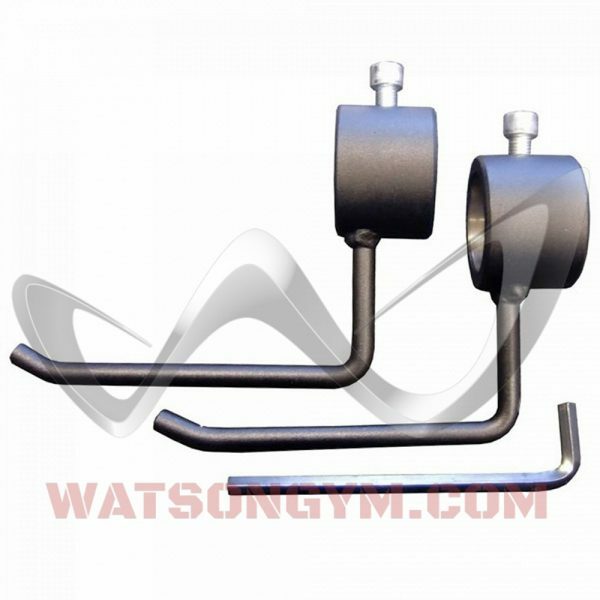 the Watson Adjustable Eccentric Hooks will drop away leaving just the weight on the bar. Rather than having spotters remove weight from the bar (which takes at the best a few seconds), the Watson Adjustable Eccentric Hooks drop the additional weight instantly allowing you to drive the reduced weight back up. This allows you to train really heavy negatives even without spotters! Fully adjustable to suit all sizes and all types of exercises. 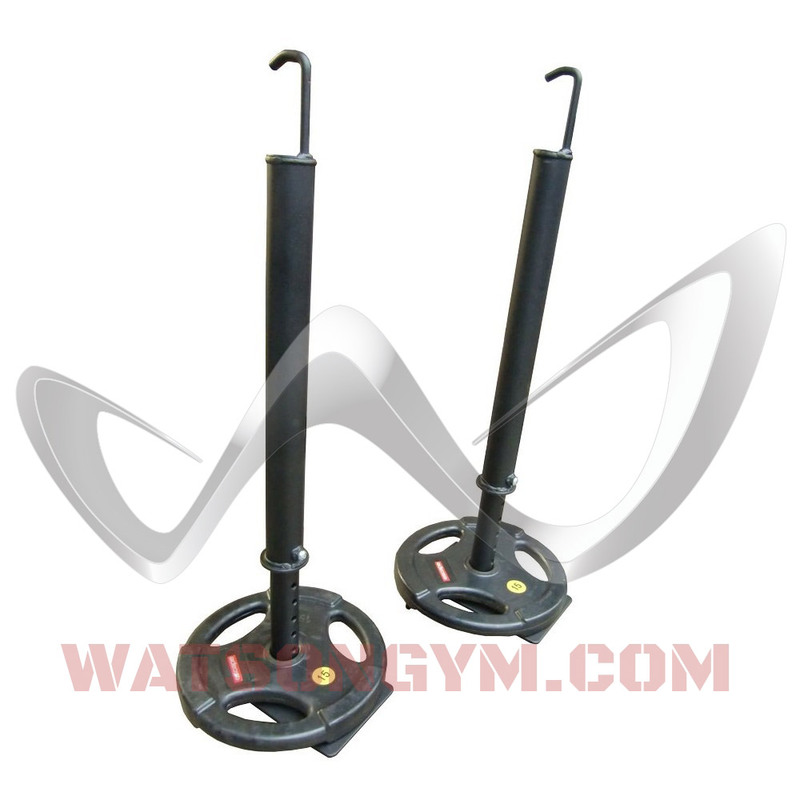 The Watson Adjustable Eccentric Hooks add yet more possibilities to your training. Heavy duty and amazing value – get yours today! 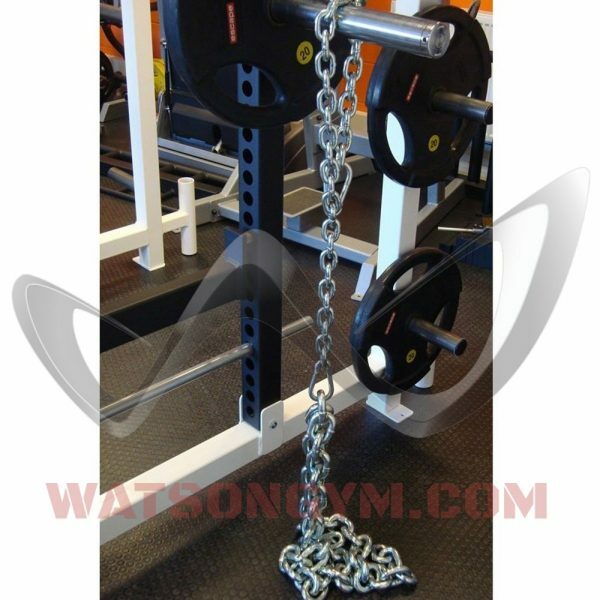 These Adjustable Eccentric Hooks are heavy duty, solid pieces of equipment. They are light years ahead of the cheap pair I previously had. It takes about 2 workouts to get a “feel” for them and figure out the proper spacing for set up. Without a doubt a solid investment!